Love is in the air, and our experienced property managers and staff couldn’t be more enamored with coastal North Carolina and all of its charms. From the close-knit communities to the beaches themselves, there’s a little something for everyone. Whether you’re a long-time resident or you’ve only recently relocated to our region, there’s no denying that it’s got a unique personality and appeal. This Valentine’s Day, why not let those same pros of life near the beach do the talking for you? While you might normally envision a candlelit dinner for your Valentine’s Day celebrations, southeastern North Carolina is fortunate enough that, even in February, the climate is usually mild enough to indulge in a picnic. Pack up a scrumptious breakfast the night before so you and your special someone can watch the sunrise, or plan to hit the beach for a lunchtime excursion. You might need a jacket if the breeze has picked up, but otherwise you can bet on a pleasant daytime date on the sand. And the best part is that if you are a local resident, public access points are easy to find, and even more convenient this time of year, when we see fewer tourists. Here in the coastal region of North Carolina, there are lots of opportunities to experience the ocean as well as many rivers and sounds with local charters and tours. Plan the day around an excursion to take in the beautiful scenery and soak in some late winter sunshine! You can opt for anything from the Wrightsville Beach Scenic Tours, Wilmington Water Tours, or even check out a fishing charter if both you and your partner are on board. Besides being something fun for the two of you to do together, this is the perfect chance to see more of your area and acquaint yourself with some of the sights that you may not have gotten around to yet. From low-key beachside joints to establishments befitting a romantic evening, southeastern North Carolina is known for locally owned restaurants that capture the quintessential flavors of coastal cuisine and add their own flare. 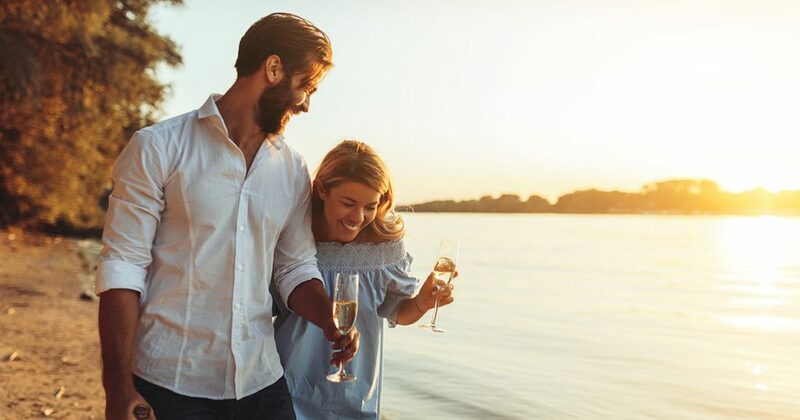 We recommend adding one of these to your date night itinerary so that you and your significant other can get a true taste of life here on the coast. And who knows? You may even happen upon one of your new favorite spots that you can go back to throughout the year. If you haven’t planned your Valentine’s Day festivities yet, don’t worry! It’s getting close, but sometimes the key to a memorable day is taking in the simple things close to home. For more holiday and coastal living recommendations, stay tuned to our blog! Our local experts keep it updated with real estate news, tips, and helpful how-tos.